The one-two punch of Harvey and Irma will make this one of the most destructive hurricane seasons ever for cars. Together, the two storms rendered more than 500,000 vehicles a total loss, according to estimates from Cox Automotive, which owns Autotrader and Kelley Blue Book. By comparison, the estimated vehicle toll was 250,000 from Superstorm Sandy in 2012 and 200,000 from Hurricane Katrina in 2005, says Jonathan Smoke, the chief economist at Cox Automotive. If your car was among the Harvey or Irma casualties, here’s what to do. If your car is missing, the city likely towed it because it appeared abandoned. “Normally, police will place a sticker on the car and register it as available to be towed away. Your best bet would be to contact your local police department to see if that is the case,” says Mark Hanna, a spokesman for the Insurance Council of Texas. Your insurance company might also help if you can’t find the car. Trying to start a flooded car could cause more damage to its electrical system. Reimburse you for the market value of the car if the car is totaled, minus the deductible. A car is declared a total loss if the damage exceeds a certain percentage of the car’s value. The threshold varies by company and state law, but a typical threshold is 75%. If you don’t have comprehensive coverage for a flood-damaged car, you might be eligible for disaster assistance through the Federal Emergency Management Agency. The help likely will come in the form of a low-cost loan, and you’ll probably have to prove you had the car insurance required by your state when the hurricane struck, according to the Property Casualty Insurers Association of America. If you have comprehensive insurance coverage, your insurer will send an adjuster to the location of your vehicle or may have the car towed to one of its mobile claim centers or to a mechanic, Hanna says. Remove personal items. Ask the insurer if you should remove the license plates. If you financed or leased the car, contact the lender or leasing company to give permission to discuss the claim with the insurer. Provide the lease or loan information to the insurance adjuster. Depending on the company, you could get the claim processed quickly without a physical inspection if the car is a total loss. Brandt says Esurance waived inspections and paid claims immediately on some hurricane-damaged cars, based on photos or videos showing them completely submerged. The insurer will handle the towing of a totaled car to a salvage yard. 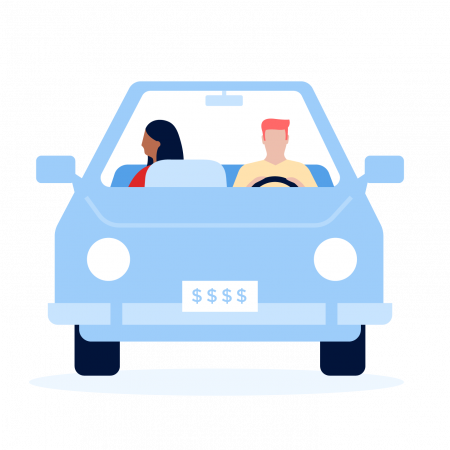 If the loan balance on the car exceeds the insurance settlement, you’ll owe the difference, unless you have gap insurance. This optional coverage pays the difference between a total loss settlement and the loan balance. Not all insurers offer it. Car dealers and lenders also offer the coverage for a one-time fee, which often is rolled into loan payments.